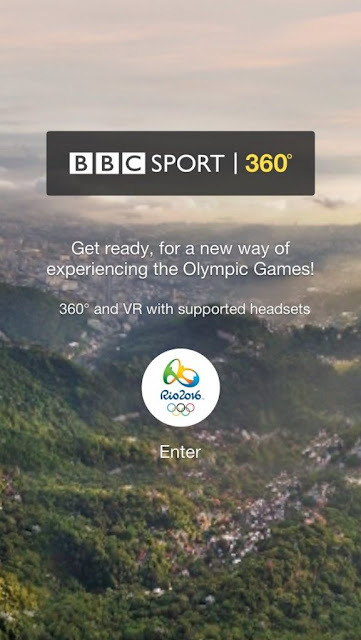 The BBC has launched a new experimental service bringing live and on-demand Olympic coverage from Rio 2016 in 360 degree video for the first time. BBC Sport 360 will offer armchair sports fans in the UK an opportunity to get closer than ever to the Olympics action and enjoy a new perspective on a range of live sports, including the opening and closing ceremonies, athletics, and a closer-than-ringside view of the boxing. The BBC Sport 360 service starts on Friday 5th August through a dedicated BBC Sport 360 trial app, available immediately on Android, iOS and Samsung Gear VR. Coverage will also be available online through BBC Taster allowing people to try, rate and give feedback to help the BBC learn from the experimental service. There will however be no repeat of 2012's 3D TV coverage. For London 2012, a daily highlights programme was available in 3D on the former BBC HD channel. Since then, broadcasters have been steadily winding down 3D output. Whether 360 degree video takes off and is still around for the 2020 Olympics remains to be seen. Coverage of the Opening Ceremony starts just before midnight Friday 5th August into the early hours of Saturday 6th August (UK time).